We are having the most exciting time representing fabulous new condominiums through our Montreal operation, Immobilier Baker! The city is pulsing with excitement at the opening of vibrant new residences inviting purchasers to live in luxury close to where they work. HOT OFF THE PRESSES – in addition to the residences we already have on the go there, we are actively involved in the upcoming launches of two of Montreal’s hottest new properties with The Benvenuto Group. 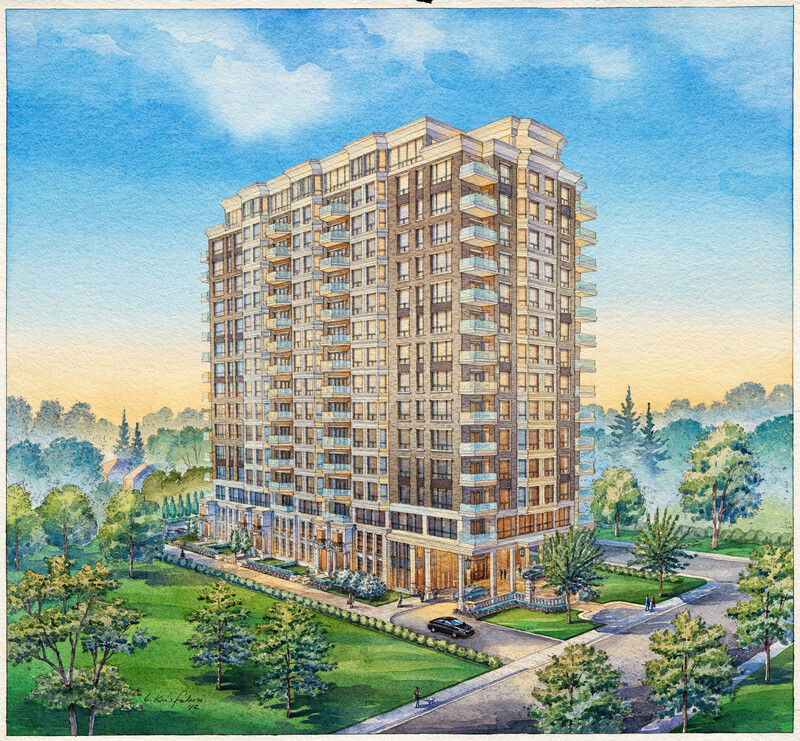 We have just announced and are accepting registrations for Le Belvedere at the corner of Macdonald and Langhorne in Hampstead, and Le Peterson at Bleury and Rue de la Concorde. Wait until you see the spectacular architecture these condominiums will introduce to the city! Le Belvedere is located adjacent to Langhorne Park on the site of the former Hampstead Fire Station, which is being transformed into a state-of-the-art presentation centre. This chic centre will include a two-bedroom model suite – a rare offering in today’s condo sales centres. Hampstead is one of Montreal’s most prestigious and established residential neighbourhoods. The property is the only one zoned for a condominium in this section of the city, making this an incredible and irreplaceable location. We have already had a lot of interest from people who live in million-dollar homes in the area who are tired of the upkeep of a large low-rise home. Many own a second residence in Florida, so the carefree nature of living in a condominium and being able to lock the door and leave worry free is appealing. For those who have children and grandchildren in the area, it is only natural to want to own a condominium suite close to where their families live. 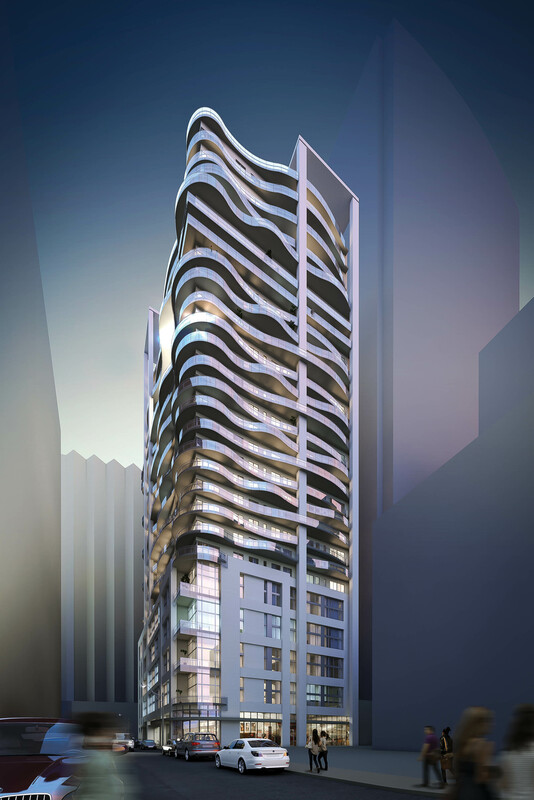 Designed by Karl Fisher, The Belvedere will rise to 16 intimate storeys and will encompass 108 suites. Interiors are by Bryon Patton and Associates. Owners will have the luxury of glorious amenities right in their building, such as 24-hour concierge service, a party room with catering kitchen, private theatre, fitness center, yoga room, lap pool, guest suite and golf simulator. Suites will be available in sizes from 1,050 to 2,400+ square feet, with prices starting in the $500,000s to over $2 million. Among the sumptuous features and finishes will be 9- and 10-foot ceilings (as per floor), hardwood flooring, paneled refrigerator and dishwasher, high-end appliances and plumbing fixtures, gourmet kitchens with granite countertops, spacious living and dining rooms designed for holiday entertaining, marble bathrooms, ensuite baths with separate tub and shower. In addition, all suites will have a balcony. We expect to launch Le Belvedere early this summer, and occupancies are slated for Fall 2014. Register at lebelvederehampstead.com. Le Peterson is situated in the heart of Quartier des Spectacles, between Sherbrooke Street and President Kennedy on de la Concorde, just west of Bleury. With its 31-storey architecture by Bruno St. Jean of DCYSA and interiors by Bryon Patton and Associates, this stunning new condominium in Montreal’s vibrant entertainment district is sure to attract those seeking value in an exciting neighbourhood. The entire area is undergoing a renewal to become the city’s hub of culture and the arts. Owners at Le Peterson will enjoy 24-hour concierge service provided from a striking double-height lobby, a party room, bar, dining room and games room for entertaining, a private theatre, fitness centre, and a guest suite. Among the suite features are 18-foot loft ceiling heights, generous balconies, and a complete design package including stainless steel appliances, quartz countertops and designer kitchen cabinetry. There are 250 units in the building, 60 of which are 2-storey lofts with 18ft. ceiling and window. One-bedroom, one-bedroom + den, two-bedroom, two-bedroom + den and three-bedroom designs are available, ranging from 405 to 1,355 sq. ft. and in price from $239,000. Occupancy is slated for Fall 2015. Register at lepeterson.com. What wonderful opportunities these two condominiums offer in Montreal! For more information, visit www.baker-re.com. Debbie came to the Baker team one year ago with a wealth of experience in project sales and marketing including 17 years at Intrawest, responsible for sales at both the Tremblant-Quebec and Blue Mountain-Ontario resorts, where she and her teams sold over a billion dollars worth of real estate. Prior to joining Baker Real Estate, Debbie was Vice President of Sales & Marketing for Sotheby’s International Realty Canada. She was responsible for the execution of all sales and marketing strategies for prestigious development projects in North America and the Caribbean. A native Montrealer, Debbie is fluently bilingual. She also currently holds her real estate license in the Province of Ontario and is well versed in condominium law and resort development. As a key member of the team, Debbie will continue to advance the firm’s position in the industry. With annual sales of nearly two billion dollars and offices around the globe, including Toronto, Montreal, Florida and Singapore, Baker Real Estate Incorporated is one of North America’s most successful real estate companies. Baker specializes in the marketing and sales of new home communities, including high-rise, hotel condominiums and resort properties. Founded by Pat Baker, the company continues to uphold the tradition she established of providing exemplary service to North America’s premier builders and developers.